Although nearly six years have passed since Hurricane Katrina struck Louisiana in 2005, 88 families in Plaquemines Parish are still homeless or displaced, many of them still living in temporary Federal Emergency Management Agency (FEMA) trailers. Malcolm Savage, a retired pipefitter in his 70s, is one Plaquemines Parish resident for whom temporary housing has become a long-term solution. Malcolm, who was hospitalized because of heart problems during the storm, remained safe amid the destructive gales – but his uninsured home was completely flooded, and he has been living in a FEMA trailer ever since. However, FEMA is now mandating that residents either leave the trailers or pay a steep penalty – if Malcolm doesn’t vacate his trailer by April 30, he will have to pay an $800 monthly fine. 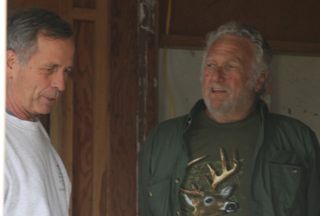 The Fuller Center Disaster ReBuilders (FCDR) team plans to help Malcolm renovate his gutted home by this deadline, as well as the home of another family, the Demolles, who face the same looming penalty. Bart Tucker, director of the FCDR, said the new penalty has added “insult to injury” for a community that has already faced a multitude of recent hardships. 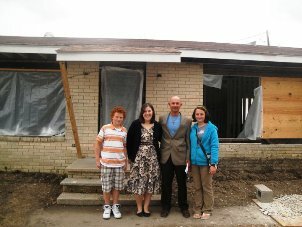 The FCDR also just received a grant from the United Way to build four new homes for families who had their homes destroyed by Katrina. Like Malcolm and the DeMolle family, all four families have been living in temporary housing for almost six years. Because the grant stipulates that all construction must be completed by June 30, the FCDR has already started the foundations on one of those four new houses. But in order to complete these projects by the deadlines, FCDR needs as many volunteers as possible.